Disasters can strike at any moment, and oftentimes disasters strike at the worst possible moment, if you need help cleaning up after a disaster call Green Clean Junk Removal Services. 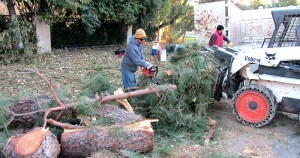 Green Junk Removal Services provides disaster clean up for earthquakes, fire and water damage, and high wind damage. Green Clean Junk Removal Services has a crew of trained disaster clean up professionals on 24/7 stand-by, ready to leap into action at a moment’s notice. Our disaster clean up professionals come equipped with everything they need to tackle your disaster clean up. Green Clean Junk Removal Services offers disaster clean up services to Los Angeles, San Diego, Riverside, Santa Barbara, Ventura County, and Orange County. We also offer disaster clean up services to New York City and most of New York State.